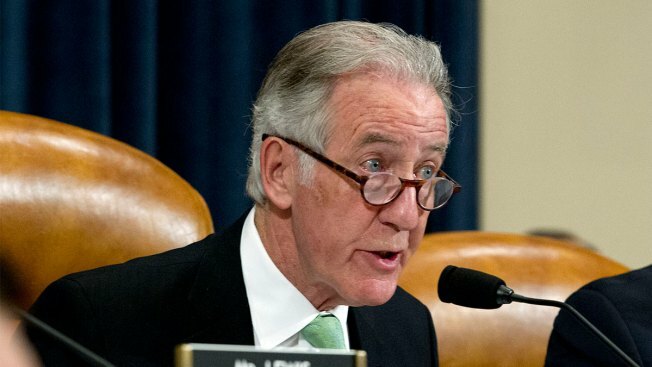 House Ways and Means Committee Chair Rep. Richard Neal, D-Mass., speaks during the House Ways and Means Committee on FY'20 budget on Capitol Hill in Washington, Thursday, March 14, 2019. Democrats have officially launched their assault on President Donald Trump's tax returns. Ways and Means Committee Chairman Richard Neal, D-Mass., on Wednesday evening said he had filed a formal request with the Treasury Department for the documents, NBC News reported. It’s the opening salvo in what’s sure to be a prolonged battle with the administration to see returns the president has refused to release.